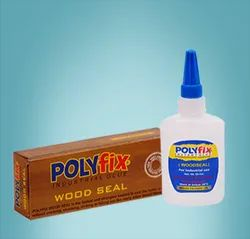 Fevicol Woodfill is a cyano acralyate adhesive that bonds extremely fast when compared to many other superglues. For the first time in India, a revolutionery adhesive which can save time , increase productivity with superier water resistance. 1.Make sure the surfaces to be bonded are properly cleaned and free from dust, dirt, oil, etc.